Alexandra Straub joined Driving Television in 2015 as a guest host for special assignments. She began writing articles in 2003 and over the ensuing decade published countless stories and thousands of automotive photographs. In 2012, she began writing reviews of motorcycles, making her one of the very few women in the Canada to cover both two and four wheels. 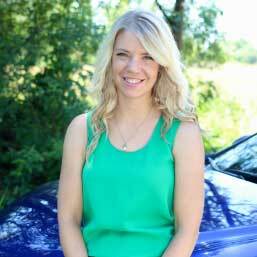 In 2014, she was hand-picked to become a juror on the North American Car and Truck of the Year Awards (NACTOY) committee. Over the years, Alexandra has written for numerous local, national and international publications, hosted “Shifting Gear Automotive TV,” as well as made regular appearances as an automotive expert on various television and radio shows. She is also an avid triathlete and she participated in the Ironman competition in 2015, one of the most grueling single-day sports events on the planet. Alexandra now a resident of Amsterdam will continue to review cars in Europe for Driving Television. She will be bringing us the latest news on cars before they arrive in America.